As we enter Maryland, we’ll approach MD 279, which connects to US 40 and MD 213. 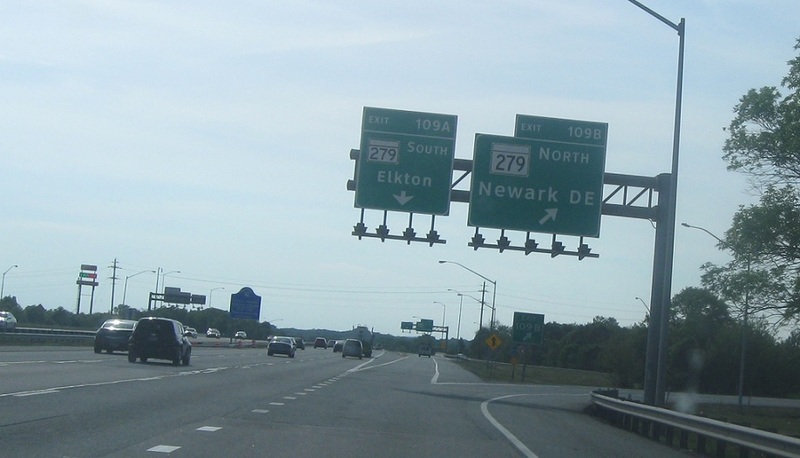 Exit for 279 north, which heads back up to Newark, Del. 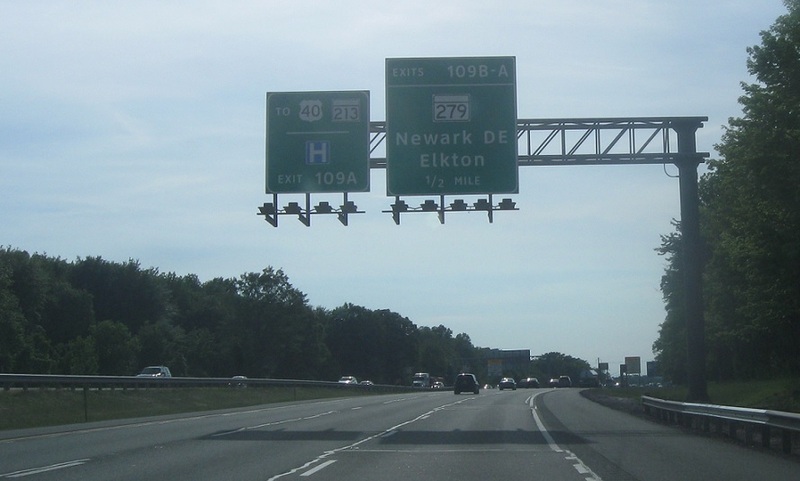 279 south heads into Elkton.